Media indexing performance dramatically improved; now completes instantly or in just a few seconds in most cases. Fixed issue where overall audio levels would be incorrectly decreased in some cases when applying pitch control or dynamic range compression. May affect audio levels in existing projects using these effects. 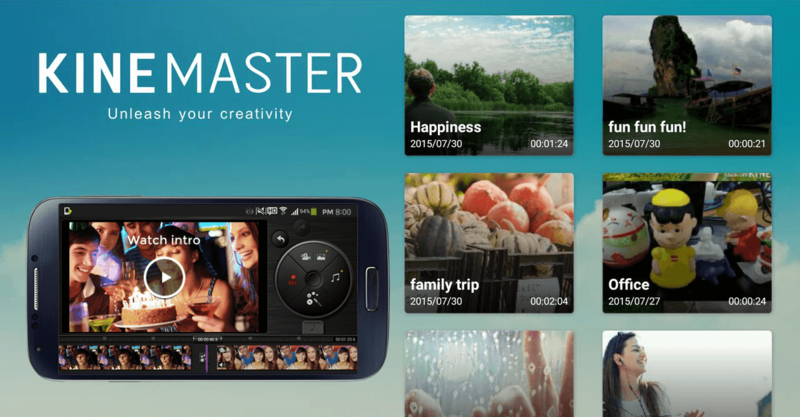 – KineMaster can be used on devices running Android 4.1.2 (Jelly Bean) and above, although some devices may have limited editing functionality or may not be supported. – For an optimized editing performance with KineMaster, devices that use Qualcomm Snapdragon 800 (MSM 8974) and above like the Galaxy Note 3 are commonly suggested.